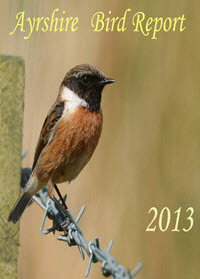 In a break from tradition, the Systematic List of the 2013 issue of the Ayrshire Bird Report is being published online here first. For those of you who still like to read the ABR in dead-tree format, a printed version which will include several breeding reports and other information will be available towards the end of June. Details will be published here when I get them. This entry was posted in News on 04-Jun-2016 .